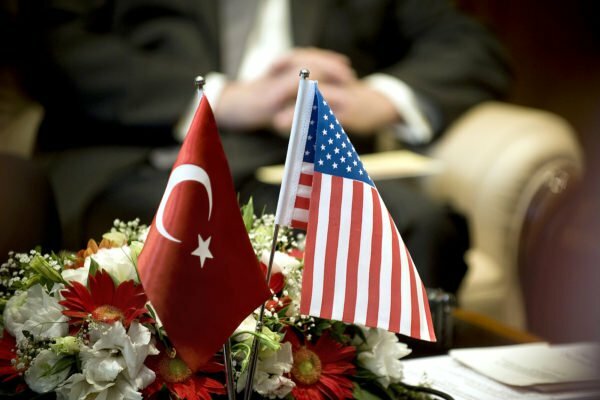 The US and Turkey have become embroiled in a consular row, mutually suspending most visa services. This comes after a US consulate worker in Istanbul was held last week on suspicion of links to US-based cleric Fethullah Gulen blamed for the 2016 failed coup in Turkey. The US condemned the move as baseless and damaging to bilateral relations. According to Turkey’s state-run Anadolu news agency, the arrested consulate employee was a male Turkish citizen. In its statement on October 8, the Turkish embassy in Washington said: “Recent events have forced the Turkish government to reassess the commitment of the government of the US to the security of the Turkish mission facilities and personnel. “In order to minimize the number of the visitors to our diplomatic and consular missions in the US while this assessment proceeds, effective immediately we have suspended all visa services regarding the US citizens at our diplomatic and consular missions in the US. The Turkish’s embassy statement is virtually the same as the earlier American one, with only country names being replaced. Turkey has for months been pressing the US to extradite Fethullah Gulen over his alleged role in the coup attempt in July 2016. Turkish President Recep Tayyip Erdogan accuses Fethullah Gulen of instigating the unrest – a charge the cleric denies.